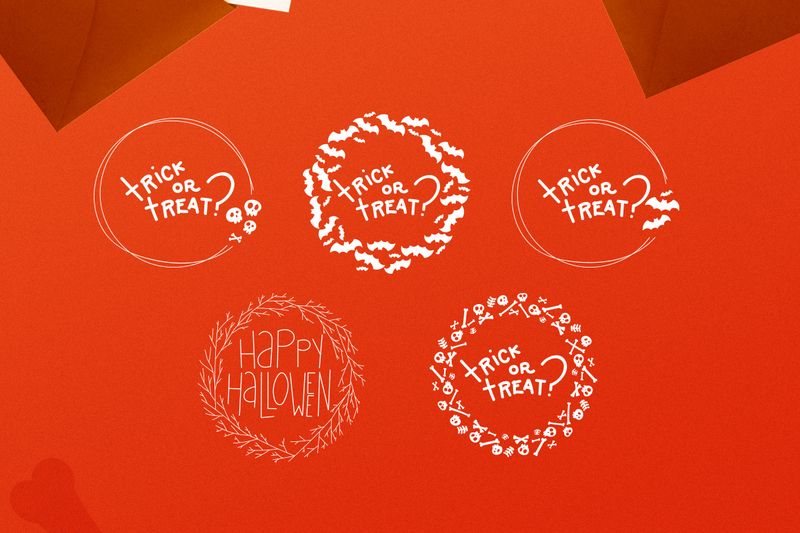 The Super Scary Halloween Wreaths Vector Pack is a collection of digital wreaths and with Halloween vibes. 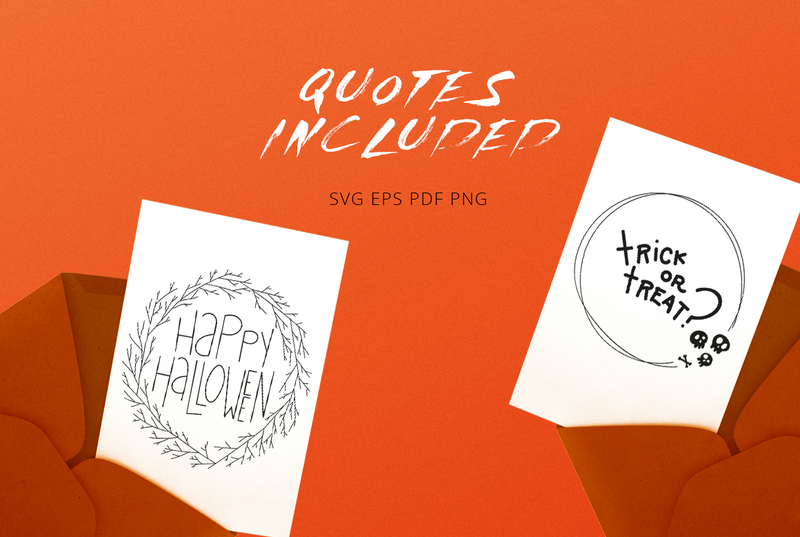 This pack can be used in social media posts, packaging or any Halloween themed project. 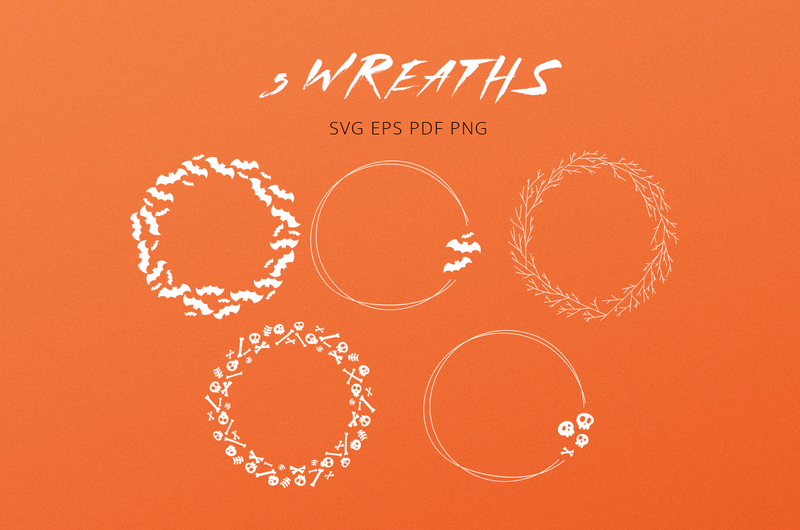 With a variety of file types such as EPS, SVG, PDF, or PNG with transparent background this vector pack is ready to use. 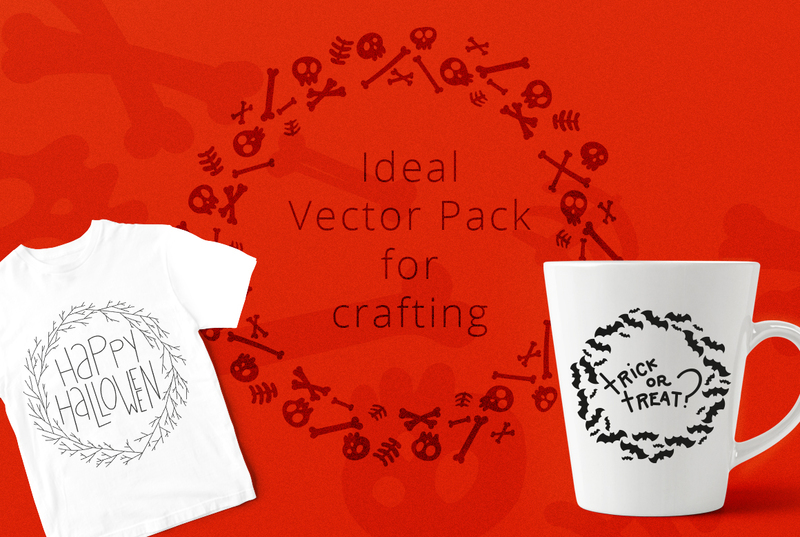 What is inside the Super Scary Halloween Wreaths Vector Pack? The font used for the presentation is Roodo Font. The background and the mock-ups of the presentation are not part of the pack. I hope you make something cool with it!